Pet Friendly Places in The Hudson Valley: Let's Get Active! If part of your weekend entourage includes four legged furry friends, then you know what it's like to visit a town with pets in tow, looking for places that cater to your canine needs. It's one thing to find a hotel or weekend rental that welcomes pets, but what about activities during the day? Here’s a list of some of our favorite pet friendly places in the Hudson Valley. 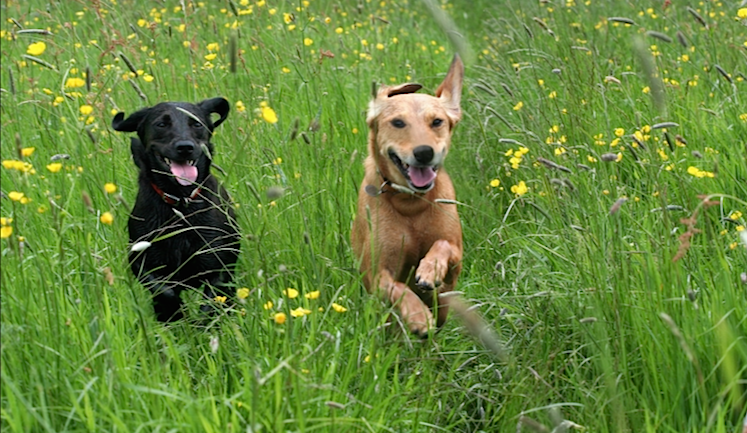 Imagine your dog’s joy as you remove his leash, open the gates, and let him or her run free, country-style! Located at the Emerson Resort and Spa, this dog park offers fresh running water, doggy bowls and even includes doggy showers. There's also a special area for tiny pooches. Sweet! The Woodstock Dog Park is off the beaten path but well worth the trip. Located near the Sawkill stream with separate areas for big dogs and small dogs, the park includes agility obstacles in the midst of the woodsy, natural terrain - a great place for active dogs. A generously sized dog run located at Rondout Valley Animals will have your dog running around and playing for hours! The facility also offers a variety of agility training classes for dogs who need to focus their energies, as well as obedience training and behavioral consultations. Dogs are welcome at this slice of heaven as long as they are leashed. The park has great views of the mountains, boat rentals and picnic tables- a wonderful place to spend an afternoon. Overlook Mountain Trail is a 4.6 mile, well-travelled, out and back trail located near Woodstock, NY that features beautiful wild flowers and is rated as moderate to difficult. It's a steady uphill climb that's rewarded by views of mountains in all directions. Dogs are able to use this trail but must be kept on leash. Kaaterskill Falls is a true show-stopper. A two-stage waterfall, Kaaterskill Falls Trail is a 1.3 mile busy trail that is primarily used for hiking and is accessible from April until October. Dogs are welcome. Be sure to wear sensible shoes! Walkway Over the Hudson is 212 feet tall and 1.28 miles long and is the longest, elevated pedestrian bridge in the world. Since it's opening it's become an instant favorite for locals and visitors alike. The views are awe inspiring. Walkway State Park is open year-round and dogs are welcomed. Stay tuned for our continued series of Pet Friendly Places in The Hudson Valley. Our next post will be about places to dine with your pets. So pack up your car, grab your loved ones - including your pets - and get ready to explore the Hudson Valley. We know you (and your pets) will fall in love with the area, and that you'll want to check out the real estate market. Call or email us anytime to see some country homes that will give you a longer-lasting experience of pure country living!